NetX - Nutrition Education of Texas: This site contains ideas and information on nutrition-based lessons and activities for teachers. Energizers! Classroom based physical activities that integrate physical activity with academic concepts. 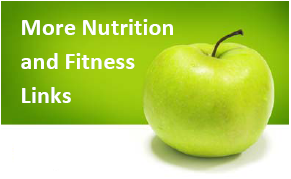 PE Central: Includes nutrition health lesson ideas in addition to physical activity lessons. Alliance for a Healthier Generation: The Alliance is a partnership between the American Heart Association and the William J. Clinton Foundation. The goal of the Alliance is to stop the nationwide increase in childhood obesity by 2010 and to empower kids nationwide to make healthy lifestyle choices. BAM! Body And Mind: Teacher’s Corner: This site is a resource for teachers to incorporate CDC health, safety, and science topics into the classroom. The site also offers students interactive content to investigate topics for school or for personal interest. Healthy Kids Challenge: This site is a guide for schools, families and communities with healthy change ideas for kids. Kids Health for Parents: Up-to-date information for parents on food, fitness, and more. Kids Health in the Classroom: KidsHealth in the Classroom offers free health curriculum materials for all grades and subject areas. Each teacher's guide includes discussion questions, activities, and reproducible handouts and quizzes - all aligned to recently updated national health education standards. Media Smart Youth: Eat, Think, and Be Active! is an interactive after-school education program for young people ages 11 to 13. It is designed to help teach them about the complex media world around them, and how it can affect their health--especially in the areas of nutrition and physical activity. We Can! Ways to enhance children’s physical activity and nutrition.